Players who support online casinos with licenses from the Isle of Man Gambling Supervision Commission will be happy to know that this organization is a long standing one. In fact, the organization was established as far back as 1962, which currently makes it one of the longest standing licensees of online casinos in the industry. It is also considered to be one of the most respected licensing organizations in the market. The Isle of Man Gambling Supervision Commission and the UK Gambling Commission have a close and long standing relationship and this might be, at least in part, because of how close they are situated geographically. The Isle of Man Gambling Supervision Commission has been included in the UK Gambling Commission’s whitelist, allowing players a certain peace of mind when they make the decision to support casinos that fall under this organization’s banner. The fact that the organization boasts acceptance onto the UKGC’s whitelist also means that players from the UK can enjoy everything that these establishments have to offer. This is not only good news for players, but also for casinos who then have the ability to advertise within one of the most lucrative markets the world over. Players can submit their complaints to the Isle of Man Gambling Supervision Commission in the event that they feel they have been unfairly treated by one of the casinos that hold a license with this organization. The organization will then investigate the matter and hopefully provide a fair ruling. 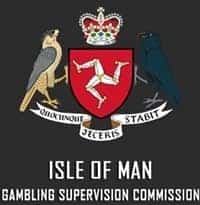 Any casino looking to apply for a license with the Isle of Man Gambling Supervision Commission will first need to be aware that the cost of obtaining this license is high. Not only are the application costs high, but the renewal fees are just as costly and they need to be pain each and every year. This might be tough on casinos, but it is good news for players because it means that less-than-reputable casinos will be unlikely to apply, especially considering they could face dire repercussions from law enforcement. There are certain measures that casinos under the banner of this organization need to put in place to protect their players. Some of these measures include protecting deposits and winnings, independently testing their games and ensuring that all players are of age. Casinos who obtain a license can proudly display it on their website, but it is usually best that players verify this by turning to the Isle of Man Gambling Supervision Commission’s website, which lists all their licensees. Players will be happy to know that, as one of the longest standing licensors in the industry, the Isle of Man Gambling Supervision Commission is one of the most respected, and as such, only associates itself with respectable casinos.